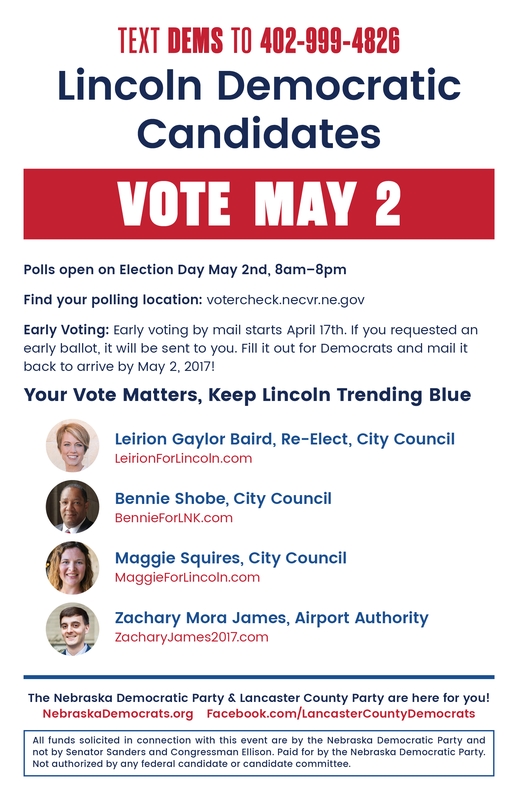 The city elections happening in Lincoln and Omaha have huge impacts for all of us. It is critical to vote in order to show our grassroots power in the streets and at the polls. We have cards below you can print out or save on your phone so you know who the Democrats are on the ballot! If you do not live in Lincoln or Omaha, we need volunteers to knock doors or make calls! Choose a candidate you support and contact them to get involved. We must win these elections to show power and momentum for statewide elections in 2018—that is when we will take on Sen. Fischer, Gov. Ricketts and many State Legislative races. Show up in 2017 to show our blue power! Polls on Election Day are open 8am-8pm. 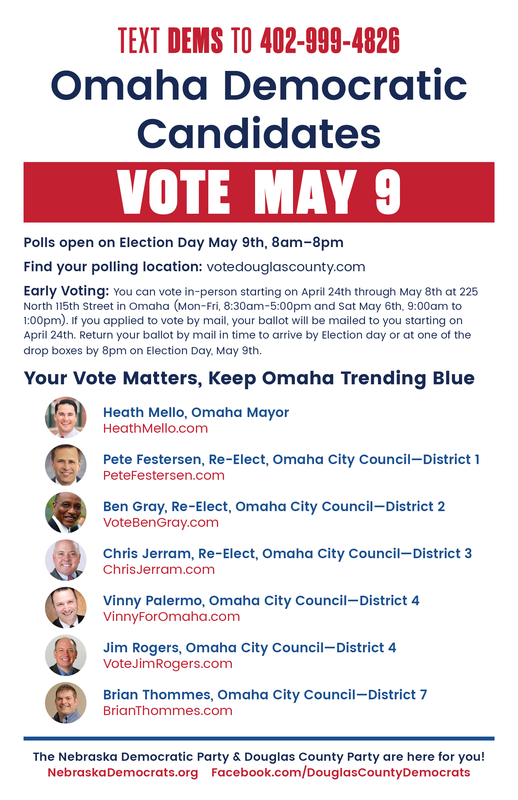 If you live in Omaha, the grassroots group Black Votes Matter gives rides to the polls, just call 402-575-0144.